One of the coolest ways to enjoy the Alicante coastline is by boat. A boat trip is a memorable part to any holiday where you can drop anchor to swim in the deep blue waters of the Mediterranean, explore coves or simply sit back and enjoy views of rugged cliff faces and golden sandy beaches. Spain-Holiday has picked 10 of its favourite boat trips in the Alicante region. This tiny, inhabited island is a must for swimmers and snorkellers who can dip into the cool clear waters for a fascinating glimpse of corals and shoals of fish. Tabarca is a marine reserve of outstanding natural beauty, thanks to its beautiful coves and clear, turquoise waters brimming with fish and fauna. Tabarca is a quiet fishing village and so makes a welcome change from the bustling Costa Blanca beaches. Although, be warned, A day trip to Tabarca is very popular in the summer months so Spring and Autumn could be better times to visit. Benidorm Island, also known as Peacock Island, can clearly be seen from Levante Beach. It’s interesting to see Benidorm’s iconic skyscrapers from the sea as their glass and metal facades shimmer in the sun. There is not much to do on the island itself but it’s a lovely 30-minute trip and you also get to go on the Aquario or Aquascope to see some of the marine life. The boats leave hourly from the Port all year round. Guadalest is a beautiful mountain-top town voted one of the top tourist attractions in Spain. When you visit, you’ll know exactly why with its far-reaching picture-perfect views, castle and unusual, some might say eccentric, museums. 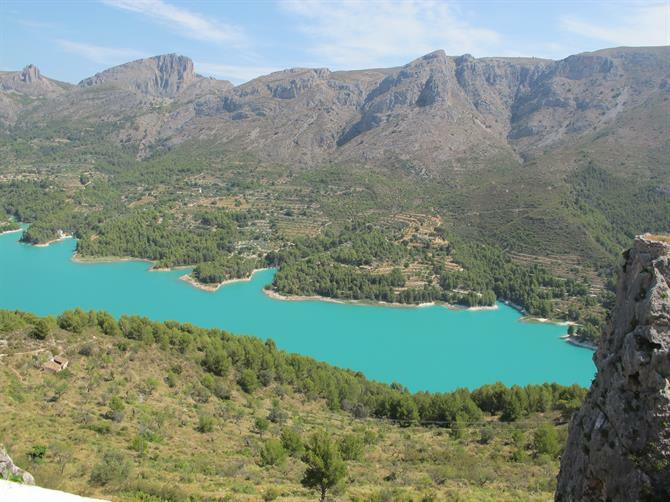 From glorious Guadalest’s lofty position, you can look down on this lake which is an incredible shade of turquoise. To get a closer look, there is a solar-powered boat offering trips across the lake. 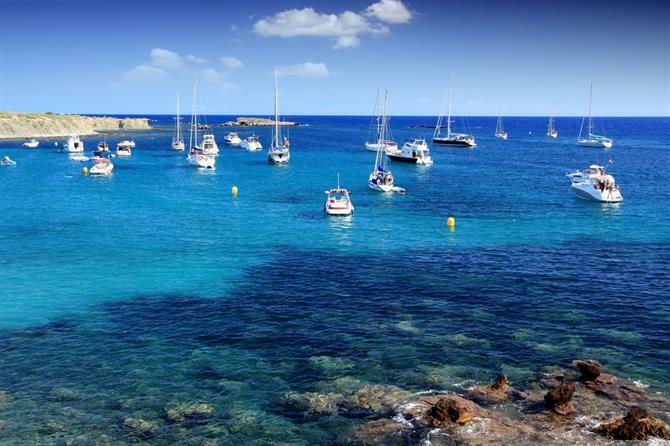 The three Balearic islands with direct ferry links to Denia on the mainland are Formentera, Ibiza and Mallorca. Each has its own distinct personality. Formentera is the most peaceful of the three with amazing beaches and crystal-clear water for swimming. 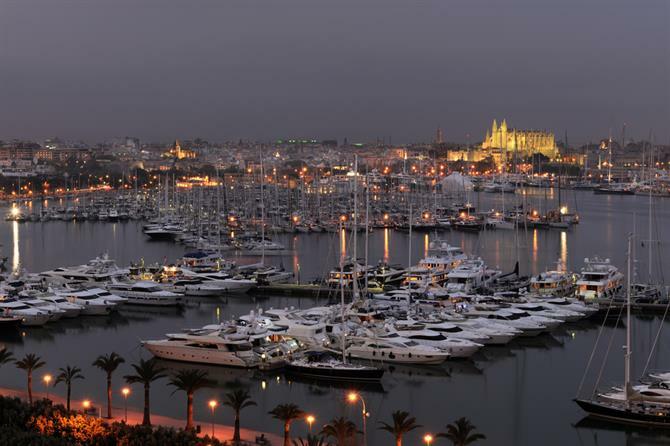 Ibiza is the party island with top DJs and nightclubs as well as chic restaurants and boutique hotels. Mallorca is the grandest of the three with Palma de Mallorca being home to beautiful historic buildings including its cathedral and palaces. Formentera is two hours from Denia while Ibiza is two hours 30 minutes so a day trip is possible. The boat to Mallorca takes at least 5 hours. There are daily departures from Denia ferry terminal. As well as getting the boat to Tabarca Island, there’s a great little trip for families with young children who may not like spending too much time at sea. The journey is a 30-minute excursion around Torrevieja bay to see the other boats, including fishing boats, and beaches. You can walk along the promenade from Playa Cura beach to the port to catch the boat which will then take you back along the bay to Playa Cura. You will need to contact the boat company to find out its sailing dates and prices. 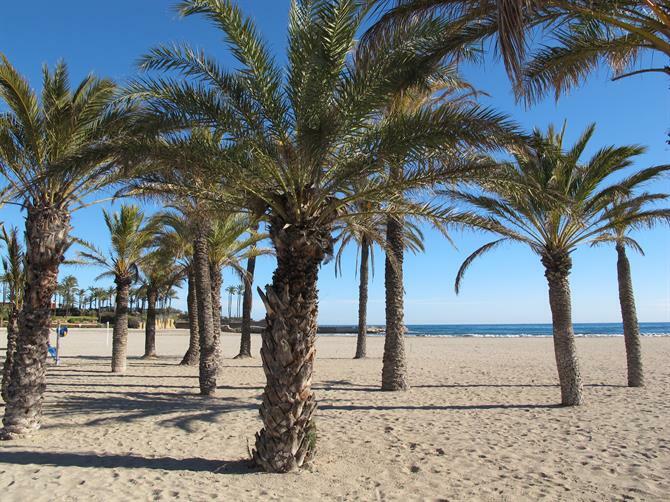 There are plenty of ideas for food and leisure in Torrevieja. If you have a large family or are with a group of friends, you may want to think about chartering a yacht or power boat for a day or the weekend. Depending on the size of your boat, it can cost from €250 a day with or without a skipper. You can follow in their footsteps for a very small part of the course by renting a boat from Alicante city. 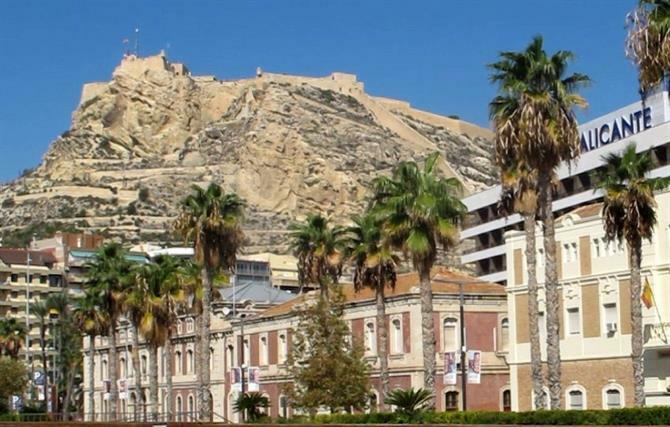 You’ll also get a great view of the impressive Santa Barbara castle in Alicante. It is possible to sail to the Balearic islands or simply cruise along the coast up to El Campello or Altea or head south towards Torrevieja. The coastline has impressive sandy beaches, chic marinas where you can enjoy lunch, and little coves to explore. Otherwise you can drop anchor at sea to enjoy a swim in the clear waters. 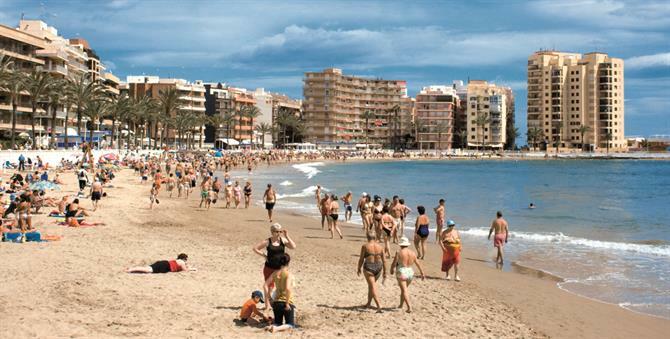 A very popular excursion is from Denia to Javea and back. It’s best to get a return ticket as the buses aren’t that regular. Otherwise, if you have bikes, you could cycle one way over the Montgo mountain. It takes about 50 minutes and you go past some stunning scenery including the beautiful cliffs of the Cabo de San Antonio, which is also a marine reserve with seagrass meadows, fish, sponges and caves and crevices in the rock face. Dolphins are often seen swimming in this area so keep an eye out as you head towards the cape. In Javea, you have the choice of turning straight back or spending a few hours in this beautiful beach resort. The boat lands at the port, which has some fine shops and restaurants, or you can walk to the Arenal with its golden, sandy beach and seafront restaurants. In high season there are four trips a day, except Tuesdays. Times vary in low season so it is best to check the timetable. There’s something very romantic about sailing in a sleek catamaran on a lovely sunny day. 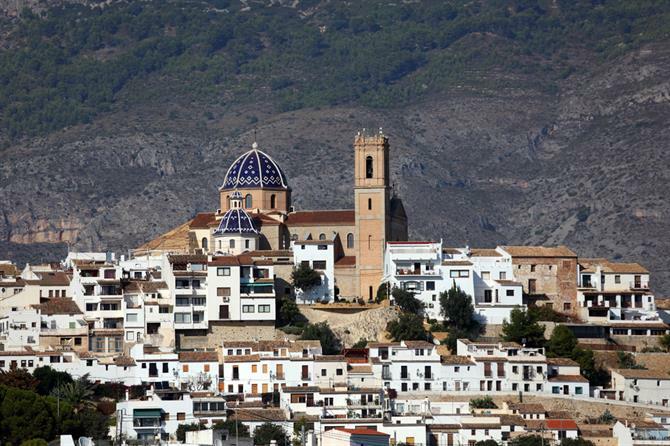 This is a leisurely five-hour cruise around Altea where you can see the beautiful blue-tiled dome from the church in the old town surrounded by white houses. This part of the Alicante coastline is spectacular with little coves, steep cliffs, beaches and clear waters. When the catamaran drops anchor, you can enjoy a quiet swim away from the beach and have a meal before heading back to port. The excursion takes place on Fridays from the beginning of June until the end of September. Calpe’s iconic Ifach rock jutting out to sea looks even more daunting when you glance up at it from a little boat. The natural park rises to 332 metres high and is home to hundreds of rare plants as well as wild animals and colonies of sea birds, which you can see – and hear – out at sea. It’s no wonder it is one of Alicante’s most interesting natural beauty spots. 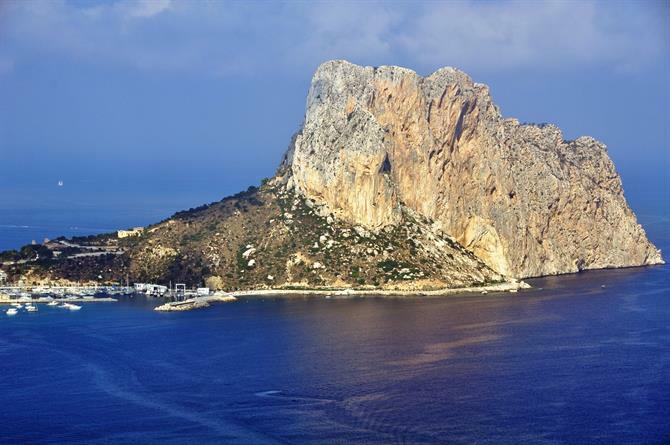 There is a lovely boat ride around Calpe bay to discover more about its marine life. It leaves three times a day from Monday to Saturday although more trips will be held during the summer months. One of the best times to set sail is just before sunset. In Denia, you can join a sunset cruise on a super catamaran where, with a glass of sparkling cava in hand, you can watch the incredible colours of the sun setting over the mountains. Times vary according to when the sun sets. The excursions take place from April to September but it’s best to check the timetable for days and times.